The view from Bilancia‘s vineyard in Hawke’s Bay. My next episode with Elizabeth Schneider at Wine for Normal People moves to my home turf, New Zealand. 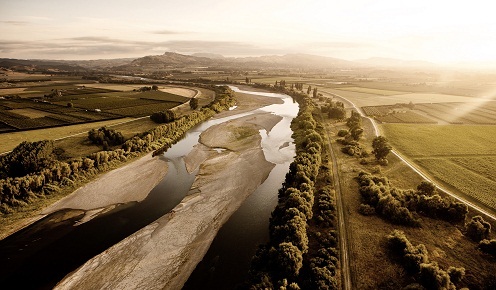 We take a closer look at the Hawke’s Bay region, including the Gimblett Gravels region, the wines and the people. Take a listen – preferably with a delicious drop from Hawke’s Bay in your glass!